Extremely light, non-greasy formula soothing and protecting the skin after shaving. Provides instand comfort. Ensures long-lasting hydration, deeply restores and regenerates. The special hyaluronic acid bisabolol creatine complex strengthens the barrier function of the skin, reduces redness. 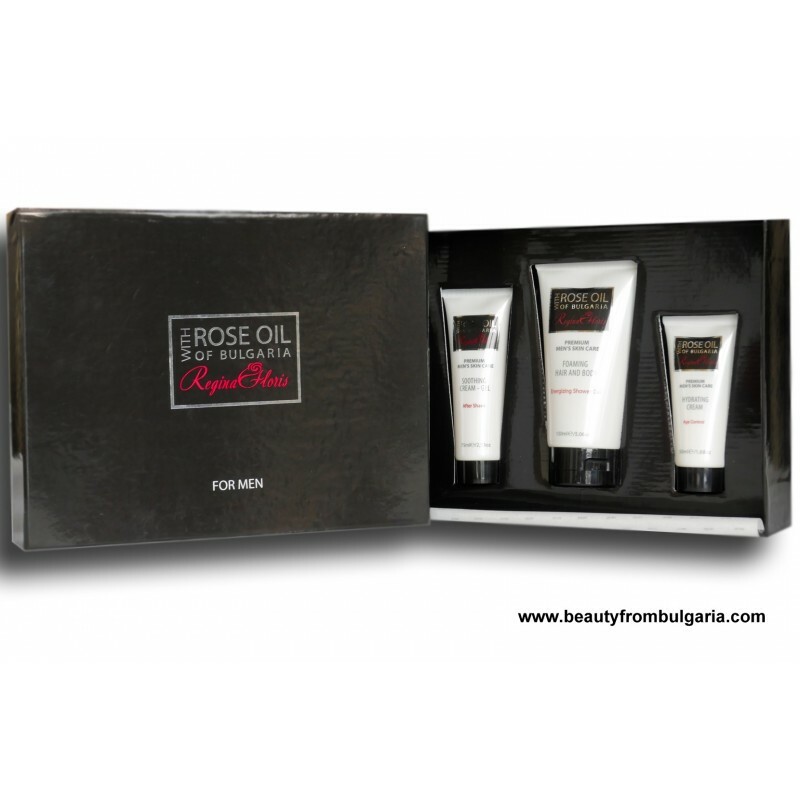 The Bulgarian rose oil included tonifies, restores the firmness and elasticity of the skin. Alcohol-free formula, with scent for the modern man, genuine and natural. How to use: Apply the cream with light massage movements, after shaving, on clean and dry skin of face and neck. Energizing shower gel for maximum enjoiment in the shower. The unique combination of mild washing and moisturizing components softly cleans the skin while preserving its natural balance. The creatine, Bulgarian rose oil and macadamia oil included in the contents ensure long lasting hydration and nourishment of the skin. Turn bathing into a daily pleasure. Enjoy tender care under the shower.